This has been an exceptional winter for my laying hens. This is the first time we have not had to buy a single store bought egg all winter since we have had been in the chicken business. Now we have gone from one egg every other day or so to a two egg day. It may be some of the coldest weather of the year, but two eggs in a single day is a sign that we are on our way to spring. As fall progresses here in southwest Montana our egg production has reached new lows. Our flock is the smallest each year at this time. Chickens ability to lay eggs is directly related to the number of hours of light, aka length of days. This can often be compounded by a fall molt. Egg farmers today often light their chicken barns to ensure that they lay regardless of what is happening in nature. 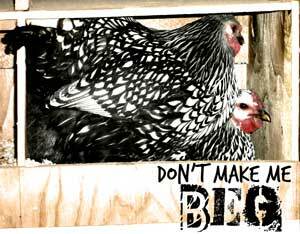 I raise my chickens more naturally and work with what light nature sends my way. I allow the natural rhythm of the seasons of life to cause my chickens to slow down and even take a break from laying eggs. Molting is that time when chickens decided that their feathers must be replaced. For my birds it is usually happens during the fall and winter months. It seems to be one of those things that is counter intuitive to mother nature. Why would birds naturally lose all their feathers when it is getting colder out?? Who knows but molts traditionally occur in fall and winter. With a small flock then compound in the shortening days and the loss of feathers eggs become a precious commodity. There has been a lot of interest in the Norwegian Jaerhon. Well she is now started to lay eggs and it seemed like a good time for an update. She has started laying little white eggs, at 20 weeks old. This is not spectacularly early, nor a late bloomer. 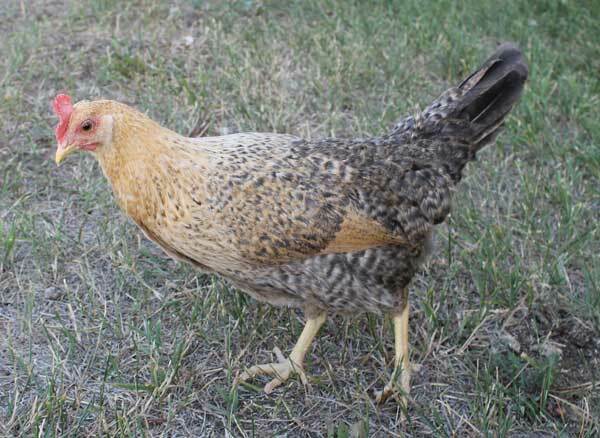 This breed is said to lay large white eggs and it has only been a week so she still has time for her body to adjust and the larger eggs to appear. I wish the photo could capture the contrast of gold and gray, but I have not jet managed to do so. I am still fascinated by the color combinations and consider her to be a beauty only second to the Partridge Chantecler. She is as small as the breed is described on most web resources for this breed. I doubt that there will be much when it comes time to butcher her, but then that wasn’t her primary purpose. She has a small single comb and unusually small waddles. If this continues to hold true she should weather the Montana winter well. I always worry when I choose to try a single comb. Her personality is one of don’t get too close. 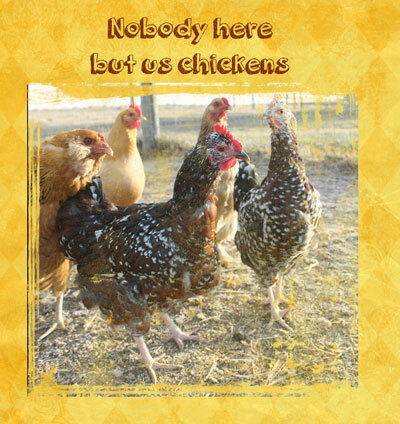 Keep in mind I have a small backyard flock treated well and touched or picked up occasionally. A few get names based on something they do but for the most part they are referred to by their breed. I don’t think she is destined to be called more than the Norwegian. No names makes going the full circle of life for me easier. Still this in all my years is the least humanly acclimated bird I have had. It isn’t to say if you wanted to raise one as a pet or for a 4H project it could not be done, I just think the flight gene is still very much alive in this breed. Would I do this breed again?? Possibly, we will see how her egg size and production develops in the upcoming weeks. I recently found this article and saved it for later to write about. Today seems to be the right time to do so. 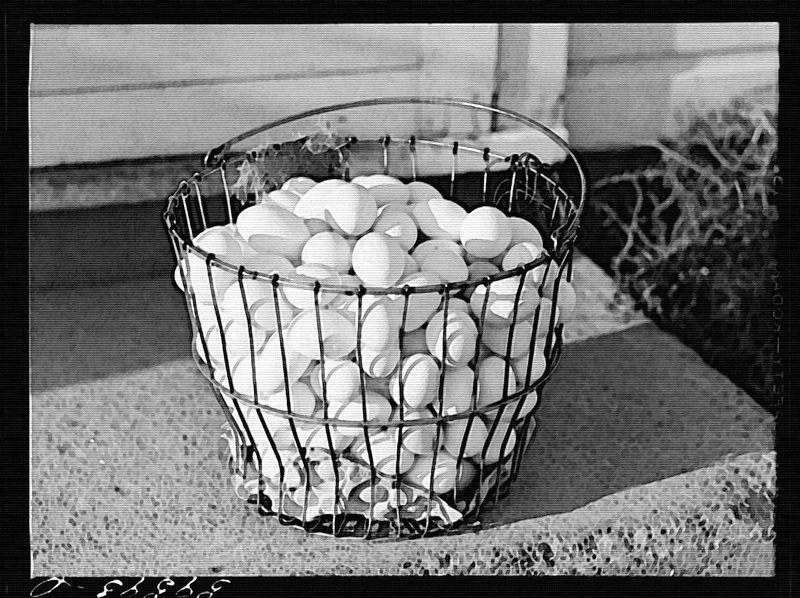 Why American Eggs Would Be Illegal in British Supermarkets and Vise Versa , from Forbes online. It is definitely worth taking time to read even if you an experienced chicken wrangler, a foodie or just interested in food safety. Our food system is so hard to understand sometimes. Why are there some things that are banned in other country’s food chain and not in ours? This makes it even more confusing because what you hear might be true in Canada, but not south of the border in the good old US of A. This article really sheds lots of light on the egg industry and what works; two completely different protocols. In the UK they vaccinate all their chickens for salmonella and it is practically non-existent; in the US we generally don’t. In the UK it is illegal to wash eggs, and in the US it is required. In Europe eggs are store at the grocery on a shelf near baking supplies, and the US in a refrigerated case. I hope you will take a few minutes and read the full article it is well written and it is enlightening about the pros and cons to each. There is no one right answer that is for sure. I use a combination of both with my flock. My coop and facilities are clean and my hens lay clean eggs. I elect not to wash them and leave the natural antibacterial coating on the egg. I store my eggs in the refrigerator, unless I plan to make hard boiled eggs. In which case I will leave the eggs my hens laid in a bowl on the counter for 3 or 4 days and they are still not as stale (easy to peal) as grocery store eggs. I would never do that for eggs that I was unsure how they were handled. Broody hen vs. a hen who wants to lay eggs. I am so frustrated right now I have three broody hens. What this means is I have 3 hens who think they should be hatching out eggs rather than laying them. They want to spend almost every hour of the day sitting in the nest box, trying to hatch out eggs that exist only in their mind. 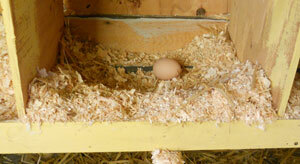 Preventing the chickens who want to lay eggs from getting in the nest box to produce. The easy way to solve this problem is to put them in a dog crate on sawhorses for 3-5 days to break the spell. Right now we have some exterior forces pulling at our household so the dog crate solution is NOT going to come to fruition anytime soon. (The one extra dog crate we have for this purpose is stored up in some hinder regions of the garage attic, that only the males of this household can get to). In the meantime every day, I pull the broody girls out of the nest boxes each morning and put them in a covered puppy exercise pen so the girls who want to lay eggs for our family can get to the boxes. It won’t break the spell like a elevated dog crate would, but if I don’t do this they refuse to give up the nest boxes, causing all sorts of problems. Problems are not good. We had planned to butcher our extra roosters this weekend, which is now up in the air due the possibility that Mr. Ranger Sir won’t be here to help. Lucky for the broody b&%$(‘s because at this minute I would gladly send them with the boys to freezer camp. Like roosters they are not laying any eggs and good enough reason for me to call it enough.